There is an additional $30.00 shipping charge for this item. As a beginner woodworker, this planer seems to work very well. The boards feed properly, cutting depth is easy to determine and adjust, and the finished material is quite smooth. Can't comment on "snipe" (?) as I am not familiar with this term, but I see no irregularities. Have only made about 20 cuts to 4"x16" boards so far, so have not dealt with blade changes, etc. So far so good! Works beautifully. It's a keeper. Spraying some sort of oil down from spinning rollers and cutters onto internal table - this is slowly decreasing to very little at present. What do you think this is from? Good for the average woodworker. I have had this planer for about 5 years and have put a ton of boards through it. Mostly pine, but some hardwood too. Just ran about 300 feet of cedar through it. 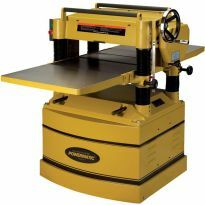 It's not super fast and is not an industrial model, but for the average woodworkers it will do all thats needed! Plane was easy to set and ran well. Manual stop height for 3/4" was out of calibration and needed to be set. Like the idea of a carriage lock. Purchased this and ran some white oak through it. I was amazed at how well it worked right out of the box. Within minutes it was up and running. The cut was much better than expected. Taking the white oak from 4/4 to 3/4 the finish was almost to the point of not needing sanding. I owned a cabinet shop for almost 30 years and typically we purchased lumber planed to size. For those odd pieces I used my $20,000 time savers wide belt sander. The finish on this was equal to the finish of the sander. I would purchase this again and would recommend it to anyone looking to use it for a home shop.. I have several DeWALT tools and am very impressed with the quality and performance. 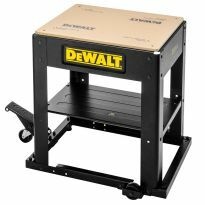 Dewalt name recognition; good review (although only 1 review); higher priced, but 3 knife head vs.
two; needed for contemplated woodworking project. BEST ANSWER: I could not find anything in the operator's manual for horse power on this thickness plane, so I contacted Dewalt and they just got back to me today. Theior answer was that they do not list horse power on these units, but the y gave me a formula to figure it out. It is, Amps (15) x Volts (120) /746 = Horsepower rating (2.41 hp). So as you can see the formula say the horse power is 2.41. Couldn't find it on my planer, but call DeWalt service number: 1-800-4-DeWalt. They should be able to tell you. Yes, the DW734 can be connected to a dust collector. If you can get a view of the back side of this planer, you will see a horizontal black box with a built-in dust port. The Dewalt DW734 can be attached to either a duct collector with a 4" hose or to a shop vac with a 2-1/2" hose. The planer comes with a 4 by 2-1/2" adapter. Yes I use my dust collector while planning woods. Then I clean my planner and cover my planner. Yes. Just folow the instructions on the box when you receive the planer. How do I adjust height below 3/4"? BEST ANSWER: You need to adjust thr turret stop. depths. Stops are set at 0", 1/4"
0" setting when planing between 1/8" (3.2 mm) and 1/4"
before trying to set the turret stop. increments, until it contacts the turret stop. BELOW THE LEVEL THAT THE TURRET STOP INDICATES. SYSTEM ON YOUR PLANER WILL RESULT. turret stop does not affect the other turret stop settings. The manual is available on the product page. This is from page 4 and there are diagrams to assist. of planer to lower the head and sending the workpiece through. 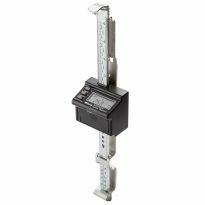 Use a caliper or other device to measure thickness. I've planed material from 13/16th down to 1/2 inch, no problem. What am I missing...? Does this require 220 V? Nope. Runs great on 110. I've owned this machine for about a year and have run hundreds of board feet through it with no issues. NOPE. 110v, and the machine works Great. 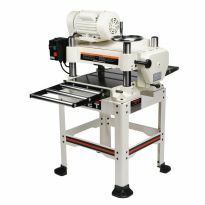 I see that this planer has 1 review and rated at 3 stars. When I click on "reviews" no review comes up on my computer, only questions. With no review showing how are there only 3 stars showing and based on what? 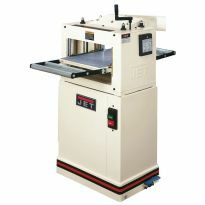 I cannot determine if I want to buy this planer or not like that. This planer has per formed as advertised, meaning as I hoped it would, and has continued to do so. So I rate it with 5 stars. Be sure to plane both surfaces of your wood work piece for best parallel, smooth finish. This planer has performed as advertised, meaning as I hoped it would and has continued to do so. So I rate it with 5 stars. Be sure to purchase wood of sufficient thickness so that both surfaces can be planed for parallel and smooth surfaces. Check amazon for reviews. They have nearly 200 on there. Will it plane too 1/2” ? BEST ANSWER: When planing to 1/2” you should never attempt in one pass. I would take off 1/8” and run it through 4 times. Think of your plane as a sander. Take off a little bit at a time. Yes it will plane to 1/2" There are height stops at 1/2 and 3/4" If you plan to use these stops be sure they are calibrated before using. Yes,I often plane down to 1/4". 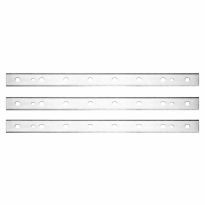 Is it possible to plane a board to 1/2 inch? BEST ANSWER: John, absolutely, in fact, you can plane down to 1/4 inch, but 3/8 is as far as I've gone. No problem...hope this helps. Go have fun! I've been contemplating buying this unit for some time and are now convinced that it would be a great addition to my work shop. Thank you so much for your input-it's greatly appreciated. Glad to be of help. I've now only been doing "fine" woodworking for about a year and a half now, and I feel I've come a long way (doing "intermediate" projects), and I know what it's like not to be sure what I need to get the job done. I'm having a LOT of fun, and I hope you will too! Absolutely, I routinely plane to 1/2 and have used it to 3/8 as well. is there a video to watch for 1st time users? 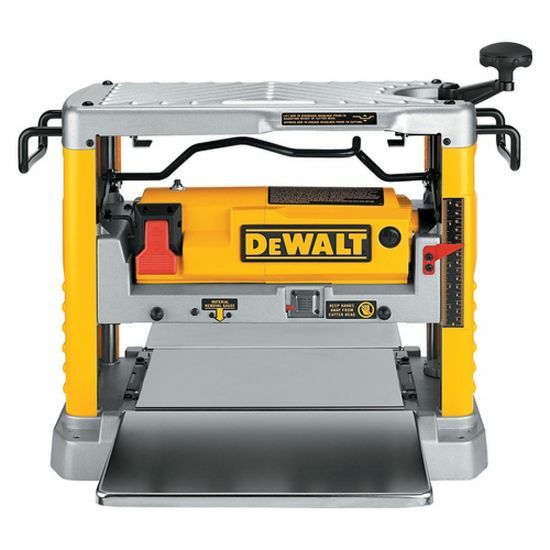 I believe if you google "how to use DeWalt planer, several videos should pop up. Hope this helps...mine has been a joy to use...however, dust collection leaves something to be desired. You're welcome...if you have any other questions, I'll try to help! Now, go cut lumber!